If you have a modest control room you need to treat or you want to dampen the reflections of your live room without sucking the life out of it, then check out the Ultimate Acoustics UA-Kit-SB2G studio kit. 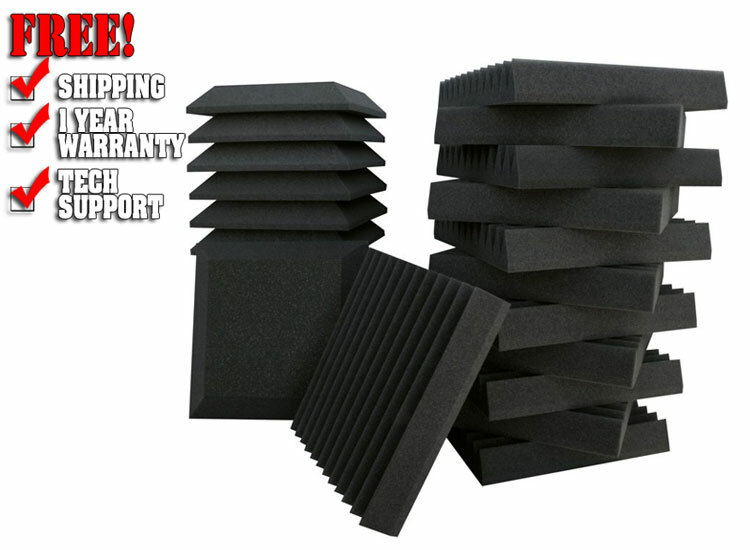 This studio bundle comes complete with a dozen UA-WPW-12 wedge-style absorption panels for catching those early reflections and another dozen UA-WPB-12 beveled panels for mellowing out low-end buildup at the back of your room. Together, these acoustic-treatment panels give you a clearer and more realistic sound that will make your recordings and mixes translate better than ever. The acoustic treatment arm of Ultimate Support, Ultimate Acoustics offers a focused range of room-correction products you can use to easily and affordably upgrade the sound quality of virtually any space. Bass traps and wall panels are available in a selection of sizes and styles, with your choice of traditional foam or vinyl layer treatment for added performance. 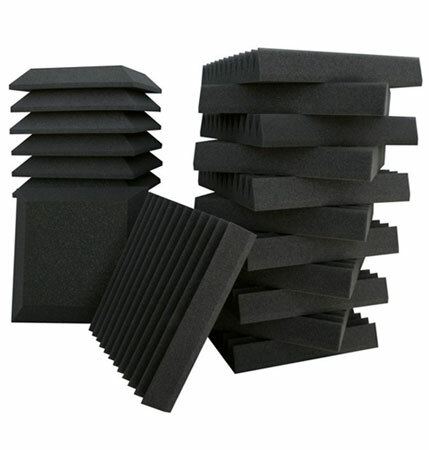 For your safety, samples of these acoustic foam panels have been commercially tested and have met the criteria for a Class B rating.